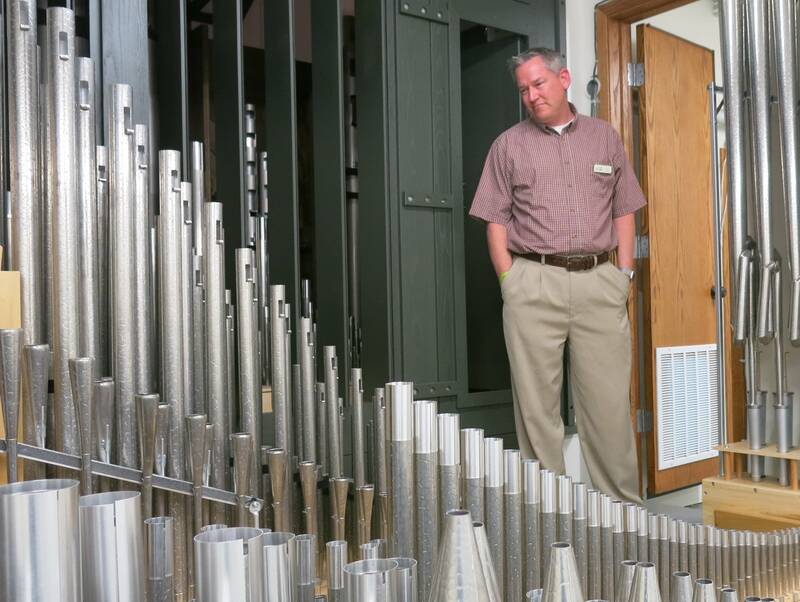 The new organ at First Lutheran church in Bemidji has 1,400 separate pipes. 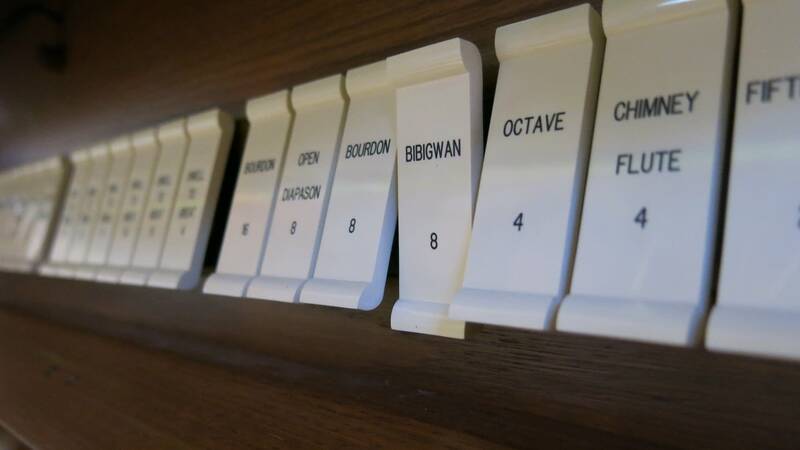 Each one was handcrafted and installed by world renowned Canadian organ company Casavant. It cost more than $500,000. But centuries of racial tension are bringing a lot of attention to one single stop. 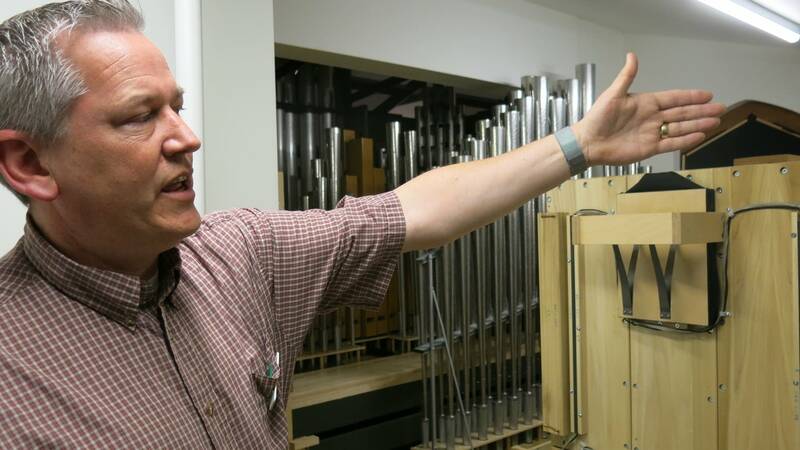 Early in the project, church leaders asked the Casavant sound engineers to build a set of pipes that could mimic the sound of a traditional Ojibwe flute, called a bibigwan. It wasn't a small request. The original flute is played by a person, with a heartbeat and limited lung capacity, so there's a natural vibrato. Plus it's made out of wood, which makes a hollow sound that's difficult to replicate with steel pipes. It's never been done before. Church music director Sarah Carlson said the engineers had to literally invent new ways of manipulating air pressure and sound. And they got pretty close. She turned on the organ and demonstrated. "You can hear the natural vibration of the voice," she said as a haunting note filled the church. "Now, when I want to cut off the note, I use the pedal, and it creates the sighing effect." The note slid down into silence. 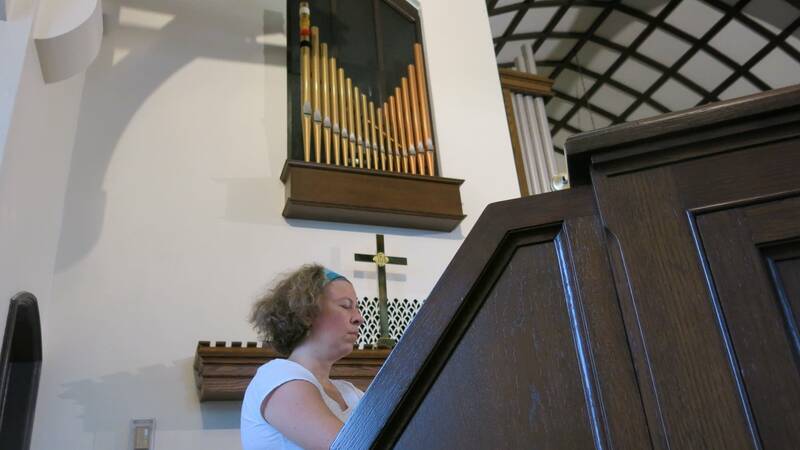 At a launch event for the bibigwan stop earlier this year, Carlson played a duet with the organ and a member of the congregation on the original Ojibwe flutes. A trained ear can tell the difference, but it's a pretty good copy, and peopled liked the music. That was a big relief to the Rev. Corey Fuhrman. Because, however complicated inventing the pipe turned out to be, pitching them to the community was even harder. The original idea behind including the native flute stop, was to reach out to the three Indian reservations that surround Bemidji. "This piece of the project has made me nervous since the day I heard about it," he said. "If the whole conversation isn't walked gingerly, you can step on some toes, and it becomes a disaster rather than a blessing." Fuhrman sees the bibigwan pipes as a bridge to the Ojibwe community — a sound that will make them feel comfortable and accepted in his church. But he also worried the project might look like cultural appropriation. His congregation is mostly older — mostly white. So early on, he reached out to Ojibwe author and teacher Anton Treuer. Treuer led a series of meetings between church leaders and members of the Ojibwe community. "The risks are, that there might be this message that, 'we know better than natives, what it means to be native.'" Treuer said. "And we had to have a lot of discussion to make sure that wasn't the case." Treuer said that Ojibwe people are especially sensitive about their instruments and culture, when the Christian church is involved. They don't have a good history. "In our area here, Catholic, Episcopalian, Lutheran groups all actively participated in the forcible assimilation and colonization of native people through their churches," he said. "A lot of Christians today have no idea that there is a history of oppression in the institutions they love." So at the launch event, the Lutherans were extra careful to be inclusive. They invited a group of Ojibwe singers, fed everyone a meal of wild rice, and Treuer said a few words. But what sticks with Treuer, weeks after the event, is a single short line. Fuhrman delivered it before all the music and speeches. "Can we stand side by side without the idea of conversion between us?" Fuhrman said to a packed church "And just stand as neighbors." Speaking a few weeks after the event, Fuhrman said, over the centuries most of the church's problems have risen from its overwhelming focus on proselytizing. "The relationship between the Christian church and the Native American people was all about conversion," he said. "There's been years of broken trust." The mission of his church now, he said, is to serve and reconcile. He hopes the music will help. John Enger is a reporter for MPR News in Bemidji.